If we take a trip 5,000 light-years away from Earth and towards the constellation Centaurus we will find one of the coldest regions in the universe. 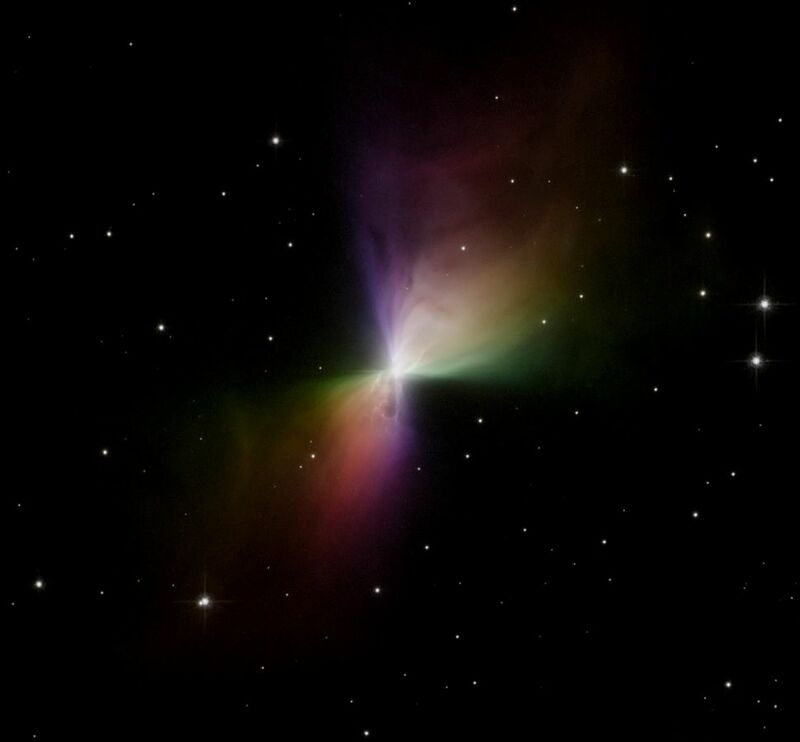 Say hello to the beautiful Boomerang Nebula. 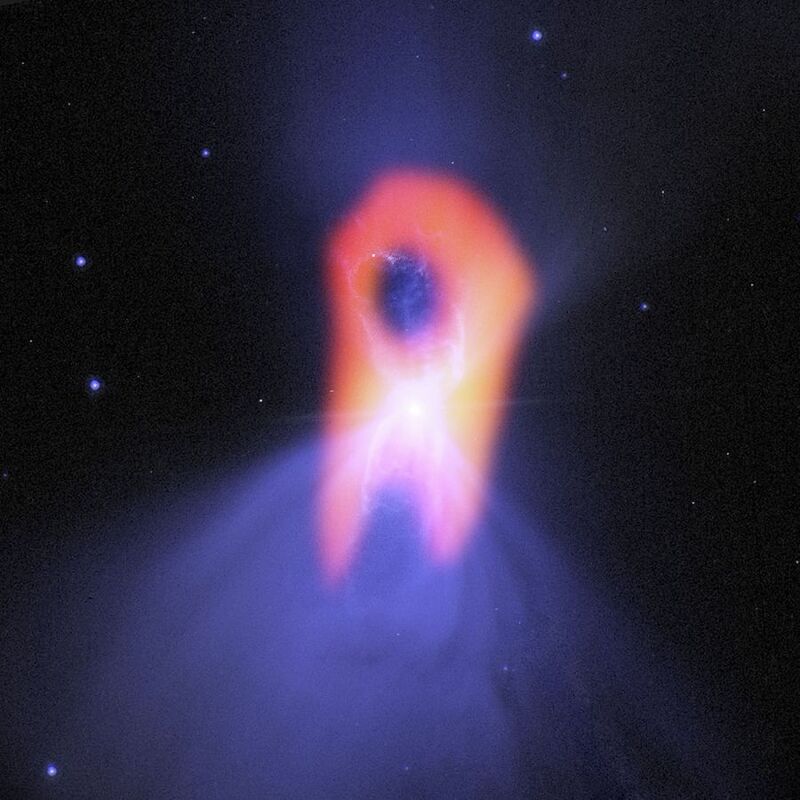 The Boomerang Nebula or what is also known as the “Bow Tie Nebula” is a protoplanetary nebula. What is fascinating about this nebula is that it’s only 1 degree above absolute zero! Meaning it’s 1 degrees Kelvin or -271 degrees Celsius. The bow shape you see here is due to the outflow of gas originating from the core of the star. The gas itself is traveling at 164 km/s which this rapid expansion is the cause of the unusually low temperatures. To paint a clearer picture of why this nebula is essentially a cosmic freezer and the fact that we don’t see these low temperatures elsewhere is the magnitude of which the gas is escaping from the star. The star’s core is collapsing on itself and turning into a white dwarf star. The star is losing 1/1000th of a solar mass which is actually 100 times more mass than what an average star loses. This has been going on for at least 1,500 years. If you’re wondering why this image looks different from the previous one shown it’s because it’s a combination of two photos taken from two different sources. One is from the ALMA radio telescope while the other is taken by the Hubble Space Telescope in visible light (like what our first image shows at the top).